Regularly servicing your vehicles is one of the most important factors in the overall life of your car. Vehicle maintenance can be expensive and time consuming, but with the Mercedes-Benz Star Service Prepaid Maintenance plan, routinely maintaining your vehicle has never been easier, or more affordable. With Mercedes-Benz Prepaid Maintenance, you can receive up to 30% savings versus purchasing maintenance as you go. Perhaps the greatest part of the Star Service Prepaid Maintenance plan is that you’re guaranteed to get your money’s worth, as vehicle maintenance is inevitable. Whether you’re taking care of required service or routine maintenance, the prepaid maintenance plan from Mercedes-Benz has got you covered. As of model year 2009, all Mercedes-Benz models follow a set maintenance schedule which is classified as required maintenance. These maintenance checkups are scheduled for 12-month intervals or 10,000 miles, whichever comes first. The appointments take care of annual routine maintenance issues that ensure that your car is operating at peak performance year after year. These annual checkups are the reason that the Mercedes-Benz Star Service Prepaid Maintenance program was started. The plan also allows you to save in the long run, as the required repairs allow the value of the car to retain its worth and can increase both residual and resale value. The benefits of the Mercedes-Benz Star Service Prepaid Maintenance plan are endless, and we can assure you that you haven’t seen a maintenance plan quite like it. If you’re interested in discovering the difference that the plan can provide for you, be sure contact us at Mercedes-Benz of North Haven. We have all the information you need to get you setup with the Star Service Prepaid Maintenance plan in North Haven, CT, and with our team of MBUSA Certified Technicians. Getting your Mercedes-Benz serviced here at Mercedes-Benz of North Haven is one of the best ways to ensure that your car runs as it was designed to for years into the future. 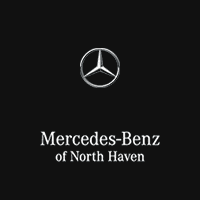 Come experience the difference at Mercedes-Benz of North Haven.